No, private citizens cannot operate Goosinator robots on Denver park land - Denverite, the Denver site! Jul. 28, 2016, 10:02 a.m. 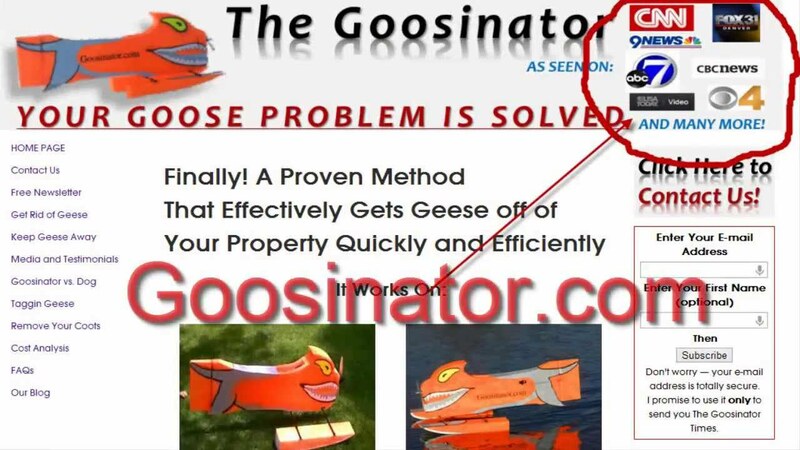 Remember we reached out to Denver Parks and Recreation to see if you can legally deploy your own Goosinator on park land in the war on geese? Well trust us, we did. And the city said no. “An individual person could use a Goosinator on his/her own property, or on property that they have approval to be on. Having said this, however, I do not know if the company that makes these machines, is in the business of selling smaller units for private owners. You would have to contact them directly at Goosinator.com to find that out. Bummer! But you can apply to be a volunteer in the “Goosinator Operator Program” here.